Molecular Biology Tools | BioVision, Inc.
With the advancement in the molecular biology techniques, researchers have learnt to isolate, characterize, and manipulate the molecular components of cells and organisms. These components include DNA, the repository of genetic information; RNA, a close relative of DNA that plays a central role in the pathway from DNA to proteins, known as "Central Dogma" of molecular biology; and proteins, the major structural and enzymatic component of cells. •	Identification of genes associated with a wide range of human diseases. •	Mechanisms involved in the control of gene expression. •	Identification of novel disease-specific markers for diagnosis. •	Gene therapy strategies for the treatment of human disease. •	Engineering plants for crop improvements, pathogen resistance etc. 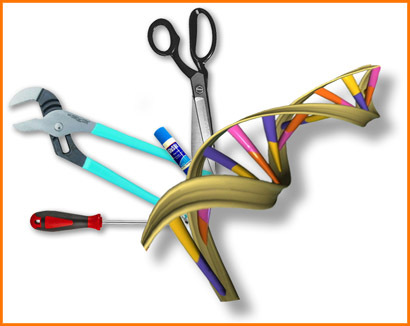 BioVision is delighted to offer a broad range of molecular biology tools including DNA Isolation Kits, DNA Ligation Kits, PCR Quick Screening Kits, Molecular Biology Enzymes & Enzymes Antibodies, Luciferase Reporter Assay Kits, beta-Galactosidase Staining Kits, Gel Staining/Destaining kits, Virus Precipitation Kits, & siRNA Expression Vectors to facilitate your gene expression/gene silencing studies.